The enclosure. The SDMO enclosures are extremely quiet (around 60 decibels they claim) which makes a big difference when your running the thing on load for two hours! The drains. I'm a little too familiar with struggling with poorly designed oil or coolant drains for my liking. The drains on these units are all plumbed to the enclosure with a valve which makes it so easy (and clean) to perform the maintenance on and/or get your samples. Oil fill. This seems like a weird thing to take note of. How hard is it to pour a jug into a fill spout? Very hard when there are wires and fuel tank vents and whatever else mounted directly in front!! I had to pick up a little 12v pump to fill some ridiculous units. 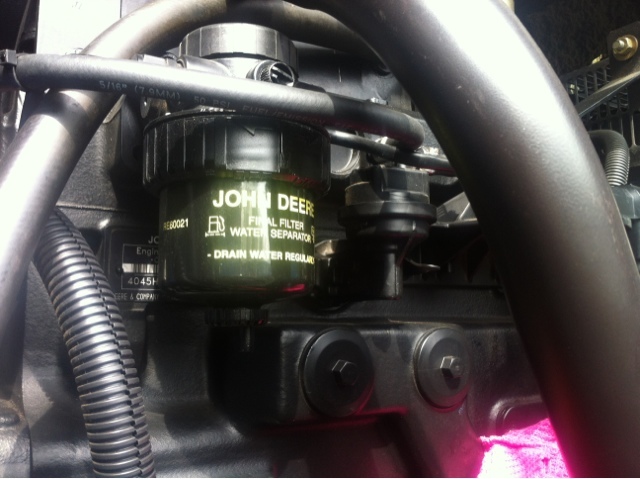 The JD units are always right there easy to access. The only negatives I can think of would be the placement of the breaker. It's up high by the control panel which is a pain for the vertically challenged like myself. The other would have to be that the foam insulating the enclosure is so soft and squishy that if rodents get inside they chew it all up and make little mouse mansions out of it! The only reason this happens is if someone forgets to put a cap back on an access hole.